Just Jussi: A matter of perspective. The yarn stocking went incredibly well, the Harvest time colour way (autumn leaves shades) was gone in seconds, with the others following at a nice rate (can you guess which colourway I will be dyeing more of next week)? although next time I will add some russet to get the lovely Liquidamber shades of autumn where I live. Today saw me armed with a shopping list so that I can do this dyeing in the most efficient way, I do like to be organised and have a routine when I work, so ensuring I have all the required items is vital to me. 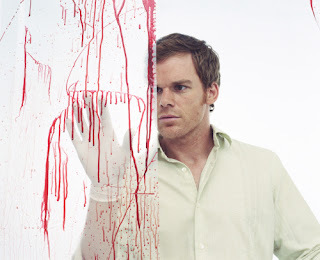 So, I'm standing there in the checkout line at Mitre10 (local big box hardware store) with my cable ties, garbage bags, bleach and duct tape and I suddenly remembered watching Crime channel video footage of an offender doing the same thing, as a friend said on Twitter it was a bit of a Dexter moment. I was only glad that I had already purchased the cling film and latex gloves from a cheaper store! I added some sweets to my purchases but I don't think that was really enough to ameliorate the element of dodginess...lucky I didn't pay cash, or my guilt would have been sealed! My other big purchase today was surprisingly inexpensive, a local store so famous for it's regular sales that no one I know shops there when there is no sale on was clearing big brand electric steamers at a price cheaper than 2nd hand, I purchased one which leaves my big stockpot free for kettle dyeing instead of steaming which will reduce the amount of electricity I use, always a good thing. Dyeing is such a fascinating activity, I get to release my inner science geek and let her play with my inner artist, all good fun!